The scrappage scheme covers older diesel cars, which are losing value. In a sign of what it likely to happen across Europe, some of the biggest car companies have begun offering generous scrappage discounts to owners of older diesel cars. The companies figure it's a cheaper option than expensive retrofits. 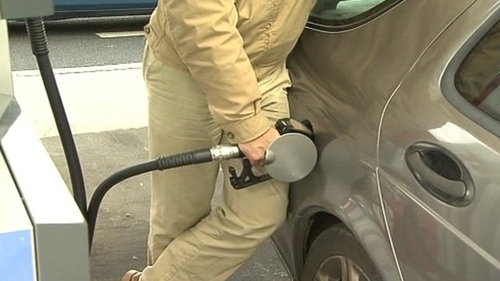 The news will be welcomed by many drivers anxious that they will be left with diesel cars that are to be banned in the coming years. The offers cover cars and vans produced up until approximately 2009 and described as being in the Euro 1 to Euro 4 emissions regulations time frame. One Irish car industry source predicted the scheme "would certainly be of great appeal here and is very likely to be introduced here at some stage". Reuters reports that car companies have started offering trade-in incentives in Germany to encourage customers to scrap older diesel vehicles and buy more sustainable engines. The report says the move comes after the German government presented plans to cut pollution in the worst-affected German cities while avoiding unpopular driving bans by asking car manufacturers to offer owners trade-in incentives and hardware fixes. Volkswagen is offering up to €7,000 Euros per car in scrappage incentives. ** France’s Renault was the first non-German car maker to announce that owners of diesel vehicles meeting the Euro 5 or an older emissions standard were eligible to receive 2,000 to 10,000 euros to trade in their vehicle for a new Renault car. ** PSA Group’s Opel unit has said it has already rejected hardware retrofits for older diesel vehicles in Germany and that it hadn’t made a decision on further measures. ** A Volvo spokeswoman said it was not considering any hardware retrofits for diesel vehicles. "(If) we’re going to look into how we’re going to help our customers then what we’d be looking at is incentives so that they can trade in for a new and cleaner car," added the spokeswoman. ** BMW has said it would extend diesel trade-in incentives until the end of 2018. It also said it would have no Euro 5 diesel vehicles left in its German leasing portfolio by the end of the year. ** French automotive equipment supplier Faurecia said on Oct. 11 it does not believe in a massive retrofit of old diesel cars on the European automobile market, saying car makers prefer scrappage incentive plans.